Last night the Adelaide Convention Centre played host to the St Patrick’s Technical College Class of 2015 Graduation Dinner. Over 350 guests attended the spectacular affair to celebrate the achievements of our graduating students. PHOTOGRAPHS FROM THE EVENING ARE NOW AVAILABLE TO VIEW AND PURCHASE ON-LINE. USE THE CODE STPAT15 FOR ACCESS. As well as presenting graduating students with their Certificates of Completion, individual awards were presented as part of our annual Awards Program. This program is now valued at close to $10,000 thanks to the generosity and support of our Awards Partners. We are most grateful for their continued support and their commitment to our students. A list of the 2015 award recipients is provided below. This entry was posted in Latest News on 28/11/2015 by St Patrick's Technical College. 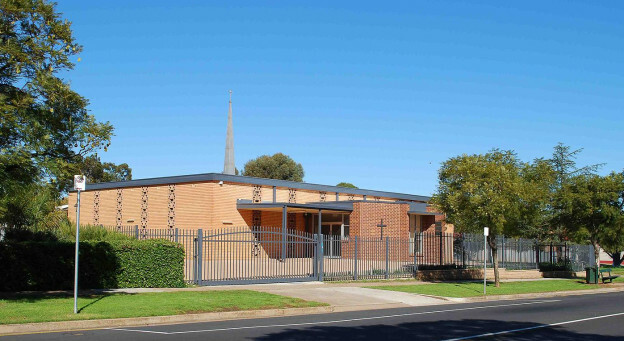 St Ann’s Catholic Church, 30 Midway Road, Elizabeth East, is celebrating being part of the Elizabeth community, both spiritually and socially for 50 years. Mass will be celebrated at 6pm on Saturday 5 December, followed by a shared supper. All are warmly welcomed to attend this event which acknowledges the initiative and commitment of present and past parishioners over those 50 years. For further information please contact church office on 8255 1191. This entry was posted in Community Blog, Latest News on 09/11/2015 by St Patrick's Technical College. Will your next tradie come from St Patrick’s? This week Director of Catholic Education SA, Helen O’Brien, had the pleasure of meeting with the School Board at St Patrick’s Technical College, Edinburgh North. The School Board members comprise both educational personnel and business representatives who have strategic relationships with the college. They are all passionate about the vocational outcomes for all of their students. Helen says that St Patrick’s Technical College provides a strong vocational pathway for young people from the north, from Catholic, government and independent schools. This is a light house school which has a bright and secure future in our Catholic system. Both St Patrick’s Technical College and Marcellin Technical College enjoy the strong support of Archbishop Wilson who often expresses delight in knowing of their work and the contributions they make to the lives of young people. Over its relatively short history, St Patrick’s Technical College has seen almost 700 apprentices exit from the college into local industry. This is an extraordinary achievement! 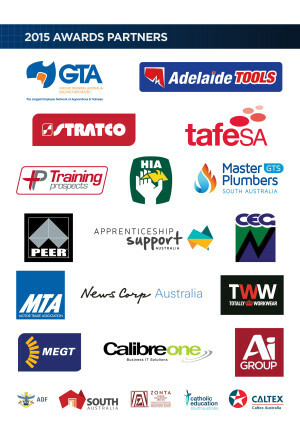 Perhaps the next trades person you engage will have begun his or her career at St Patrick’s! “I congratulate Principal, Rob Thomas and his staff for the significant work they do” Helen said. This entry was posted in Latest News, Principal's Blog on 05/11/2015 by St Patrick's Technical College.